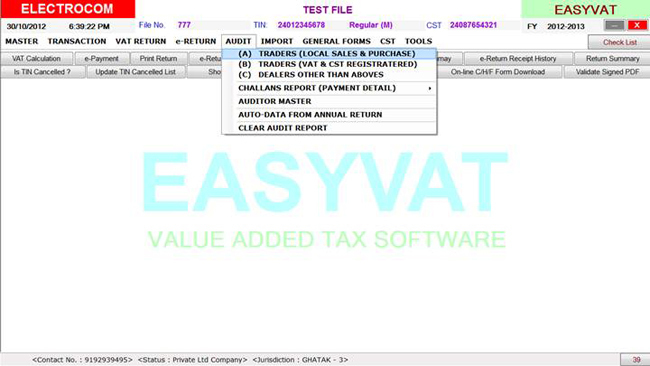 EasyVAT is specific software designed for Gujarat VAT. 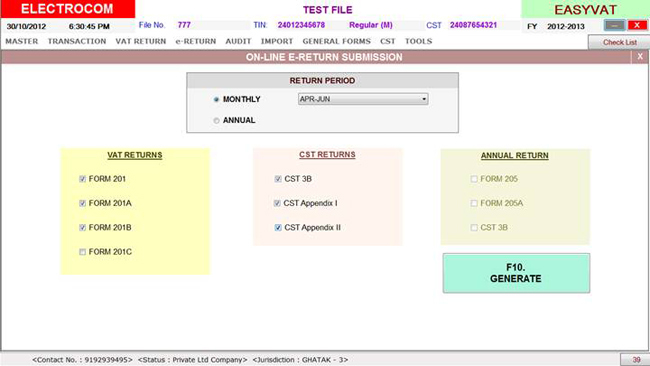 The software is exclusively designed as per the norms specified by the Gujarat Commercial Tax Department. The software due to its user-friendly interfaces, Advanced online Tools, robustness, convenience and speed is being extensively used by CAS, Tax Advocates, Tax Consultants, Accountants, Corporates and other professionals for processing of VAT calculations, VAT Audit, VAT e-Return, CST e-Returns, VAT registration & other VAT related data for their clients and own use . 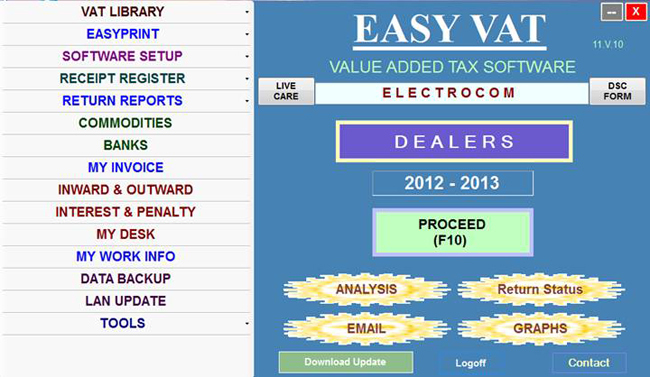 Copyright©2006, All Right Reserved, Electrocom Technology India Ltd.